It was a privilege to be asked by my friend Tom to write a post on his courageous, remarkable, and eye-opening book, The Uncontrolling Love of God. Courageous because it challenges a widespread belief held passionately by many American Christians, especially among Evangelicals. Remarkable because of how well his thesis and the counterpoints to it are argued. Eye-opening because it shows how different theologies can be even when they share the belief that God is love, a pivot point it would seem in theological construction. Tom’s thesis or model of essential kenosis says that God’s love is primary and because God’s love of humans requires free will and the “regularities of existence” that accompany the natural world, “God cannot unilaterally prevent genuine evil.” Tom does not claim that God is not sovereign, but that God’s sovereignty necessarily flows from God’s love and involves creaturely participation such that God cannot completely control others. In my short post today, I would like to apply this thesis to the broader science and religion discussion. Tom did just that in the last few pages of his book, where he argues that essential kenosis benefits the discussion of miracles (an important topic in science and religion), because it welcomes, if not requires, both scientific and theological explanations. I would like to offer three other benefits of his model. No doubt there are more. First, I would argue that essential kenosis does more than just impact the conversation on miracles, it influences the entire field of science and religion. The founder of this inter-disciplinary field (and all-around stud), Ian Barbour, said that there are four ways in which science and religion can interact: conflict, independence, dialogue, or integration. 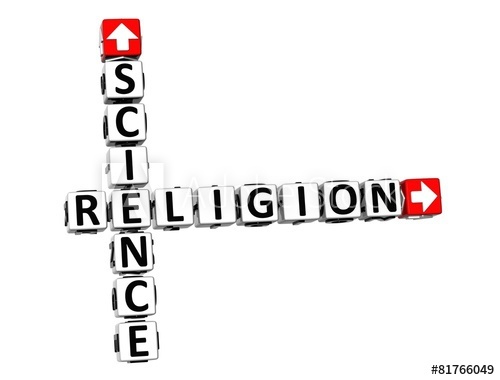 (For more information, see https://scienceandtheology.wordpress.com/2010/11/11/science-and-religion-barbours-4-models/) If Tom’s thesis is correct, it supports dialogue or integration because conflict and independence are necessarily incomplete. Essential kenosis says explanations from science and religion are both required to describe God’s interaction with nature. While dialogue and integration are standard models for the interaction of science and religion in academic works, they are rarely promoted in popular books or by the mass media. Rather, conflict and independence reign supreme, which promotes anti-dialogue (like telling Russians to find emails) or represents an attempt (perhaps an “enlightened” attempt) to keep the peace by placing science and religion in separate Ziploc bags, lest one contaminate the other. The model of essential kenosis coupled with the loving hug that is Tom and his writing should promote conversation. Good conversation. There is no escaping that we live in a world dominated by science. If philosophy and theology are to be relevant and take account of the entirety of our existence, they must at least acknowledge, if not appropriate, scientific findings that describe God’s creation. Essential kenosis integrates the best of science and theology by meeting in the middle, which is intellectually challenging since it demands knowledge of multiple fields, not just their content but also their methods and philosophical foundations. In fact, rarely does a scientist or theologian have the ability to integrate like this, and the best at doing so are the scientist-theologians Ian Barbour, John, Polkinghorne, and Arthur Peacocke, who pursued advanced training in both disciplines. Unfortunately, these authors are not read as widely as they should be because their prose tends to be academic in nature. Tom has overcome disciplinary boundaries, and it is my hope that his model for doing theology and making it accessible is adopted more broadly. Third, Tom’s ontological placement of love above sovereignty should enable better interfaith dialogue in science and religion. A God who has complete control over others can act capriciously, and different religions thus ascribe different actions and motivations to God. The concept of God’s sovereignty combined with the natural human tendency to anthropomorphize God to fit our needs makes identification of common ground difficult and is the key source of religious friction. A God who loves first and uncontrollably is a common-ground God, thus improving the potential for interfaith dialogue. I’m sure there are other ways in which Tom’s model of essential kenosis will impact the broader science and religion discussion. Hopefully the three proposed here and this post help to spark the conversation. Can you think of another example of how God’s uncontrollable love could impact science and religion? Justin Topp is the Assistant Dean of Science, Technology, and Mathematics and Associate Professor of Biology and Bioengineering at Endicott College. He has a Ph.D. in Biological Chemistry and is an active scientist who also writes on the intersection of science and religion at scienceandtheology.wordpress.com. He is currently working on a book on the philosophy of science and religion and its importance to the creation-evolution debate. I like the connections you’ve made here, Justin. And I agree with everyone of them!